Techno-gurus love "mass customization" when they talk about Maker technologies, but is it something real or just a buzzword? If you're open to accept the term in a broad sense, German label fifti-fifti already has something for you. They designed take-off light, a suspension lamp whose central metal frame is connected to two grey paper sheets decorated with a pattern of little laser-cut triangles or circles. 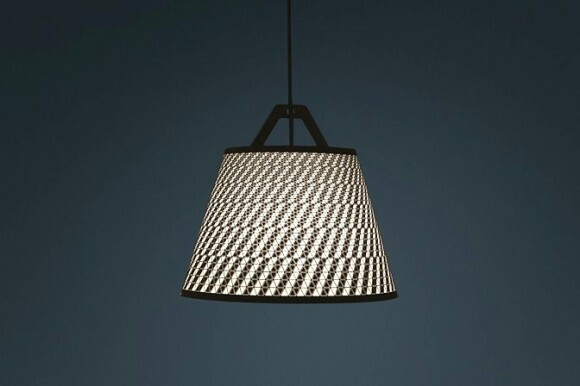 These sheets form the lampshade and can be personalized in many (infinite, in theory) ways: you have just to pull away the triangles (or circles) you want to create a unique light pattern. Assembling the lamp is easy. A central steel flat frame holds the top and the bottom of the lamp and is connected to the light source and the cord. 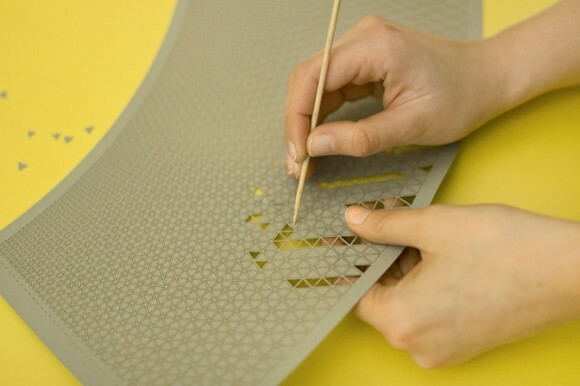 The two laser-cut sheets make up the lampshade: they are fastened to the frame by four little magnets (two for each sheet), so it's very easy to put on and take off them from the lamp itself. When you don't like the light pattern anymore, take off the paper sheets, buy another set, create another pattern and put it on the frame. The fifti-fifti kit includes some example patterns to get inspired. Playing with little laser-cut paper triangles (or circles) is not "mass customization" enough for you? Strictly speaking you're right, but this could be just a start. If you know something about laser cutting there's nothing preventing you from unleashing your creativity with a vectorial drawing software to design your own lampshade. Or the whole lamp, if you're Maker enough.